A Happy New Year (Gregorian calendar) to all! I understand the December meeting was very successful with clear skies and much seen – the weather in Cayman has, I can tell you from first-hand experience, been considerably better than in the UK and Ireland – where the rain storms now have names; “Frank” in particular caused major flooding and has been attributed to global warming or the El Nino depending on which paper you read. Over the Christmas period Richard also fitted in two fund raising outreach trips to the Marriott Hotel – thanks very much Richard! The next General Public meeting will be at St Pedro’s Castle on Wednesday Jan 13th – starting at around 6:30 PM. Usual rules apply with regard to the weather- if more than 50 percent cloudy then the meeting will be cancelled – you may phone me (not text) – 925 7657 at around 6 PM for an update if there is any uncertainty. Non-members are asked to park outside and walk in. This coming year is an important one, with events both Earth-based and in the sky. 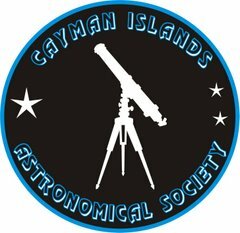 I have listed below a list of events planned for this year with the intention to call what will be a very important AGM in May. Meanwhile we can have a lot of fun before we get there - so let’s do it! May 22nd Mars Opposition: Brightest and nearest since 2005! Oct Next UCCI STEM Conference. All correspondences should be directed to that email account. I am only human and mistakes will be made so let me know if you think you have fallen off the distribution list. Of course, you may wish to take this opportunity to remove your name too. 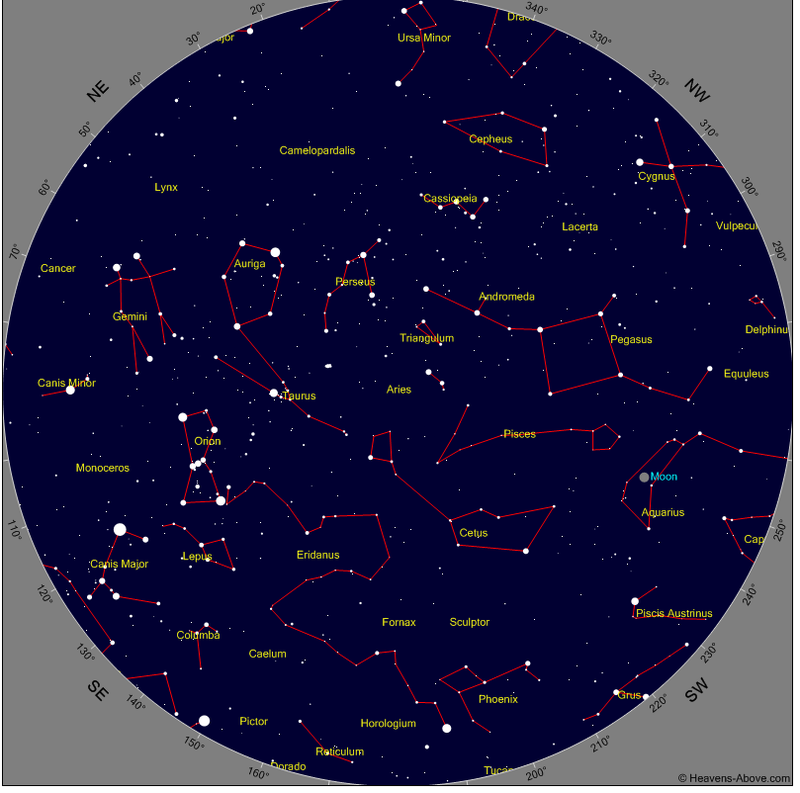 We start this month by looking in the morning sky. There is so much going on at that time at the moment. Sunrise is still quite late (7 AM) so there are good opportunities to see Venus and Saturn, for example, especially on Jan 9th when they can be seen in the South Eastern sky less than ½ a degree apart. Both planets are in Scorpius and the red star Antares can be seen approx. 10 degrees further south. Overhead and to the West is bright Jupiter in Leo and midway between Jupiter and Venus – is Mars. Towards the end of the month Mercury will also be just visible, low in the morning sky before dawn. 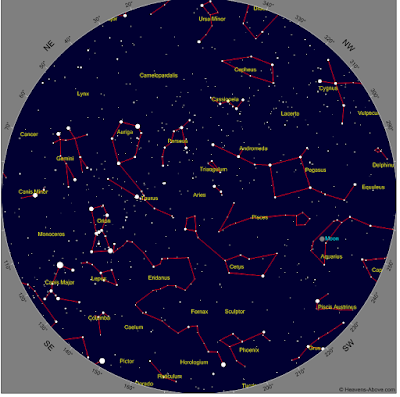 Jan 4th was the maximum of the Quadrantids meteor shower- I have seen two already since my return. 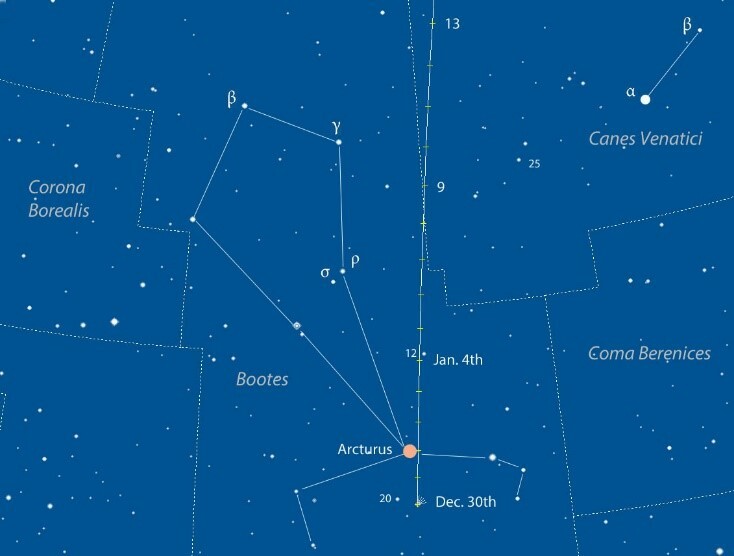 Comet Catalina never made the grade although it now has two tails and is around magnitude 6.5 not far from Arcturus – almost directly overhead in the morning sky – see the finder chart above. Now we turn to the evening sky. 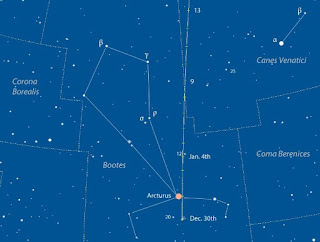 Sunset on the 13th is around 6:00 PM – the chart below is for 7:30PM and is taken from the excellent site Heavens-Above.com. This is a great site for satellite predictions too- unfortunately there are not any obvious crossings of the International Space Station this month.